I made some monsters and their parts using felt. Since the parts are all separate, they can easily be mixed between the different monsters. We practiced naming and pointing to different parts on the felt monsters as well as naming the equivalent parts on R’s body. “Teeth” was the new vocabulary word for this activity and I pointed to the monster teeth and R’s teeth multiple times. As usual, R was most interested in pulling apart all of the pieces! a. Have the child work on scissor skills and cut felt. Older children can make monsters themselves. Younger ones can just practicing cutting straight strips. b. 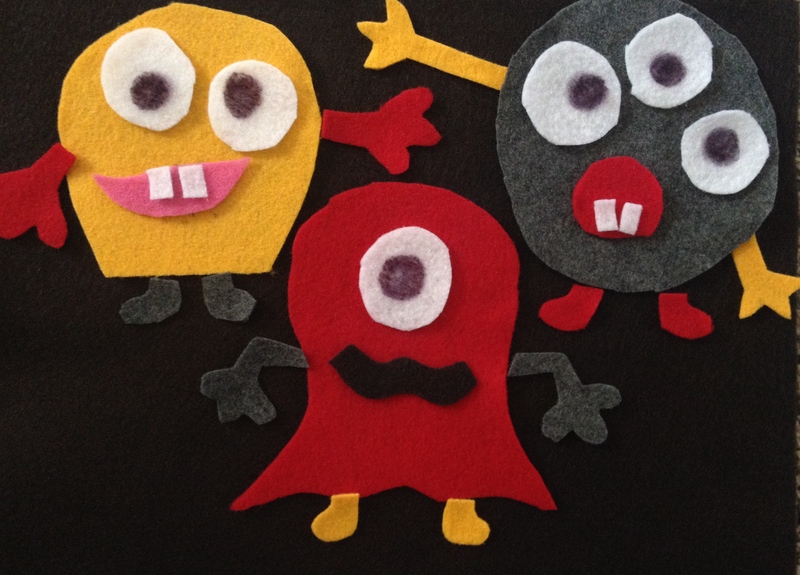 Make multi-coloured monsters and practice colour recognition with the child. 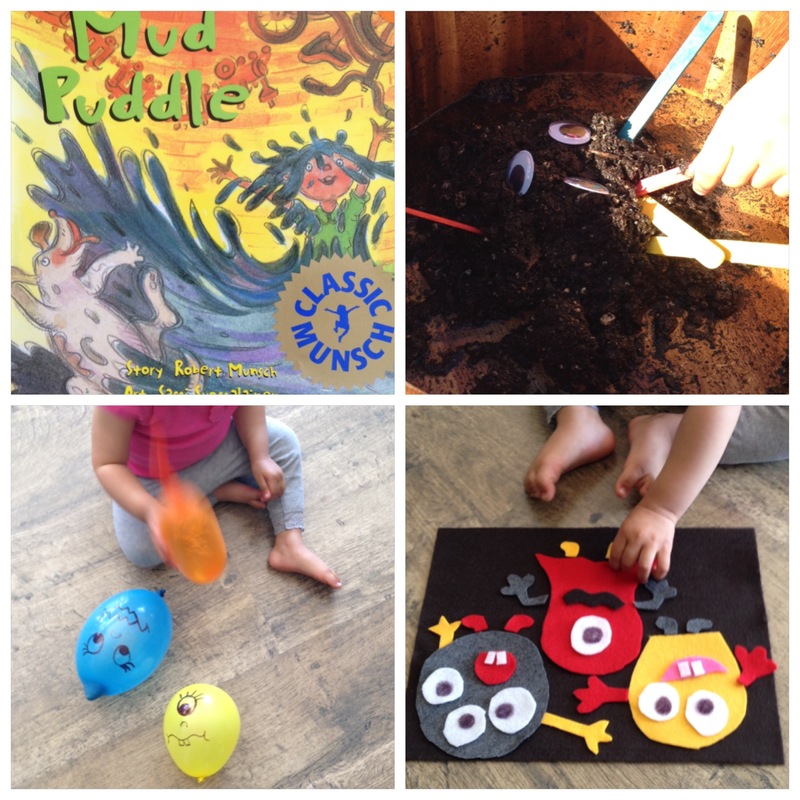 R had soooo much fun with this activity!! I drew faces on balloons and added lentils inside to make the balloons into shakers. She chanted, “take take” (shake shake) as she played. 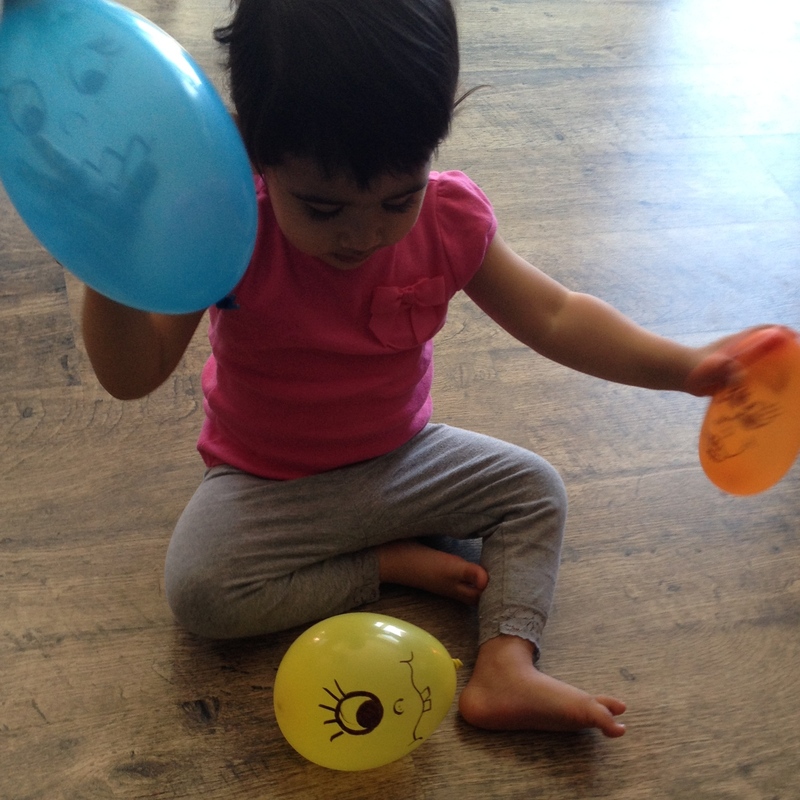 She played with these balloons many times over many days. Unfortunately, one burst and we had a lentil explosion all over the floor! 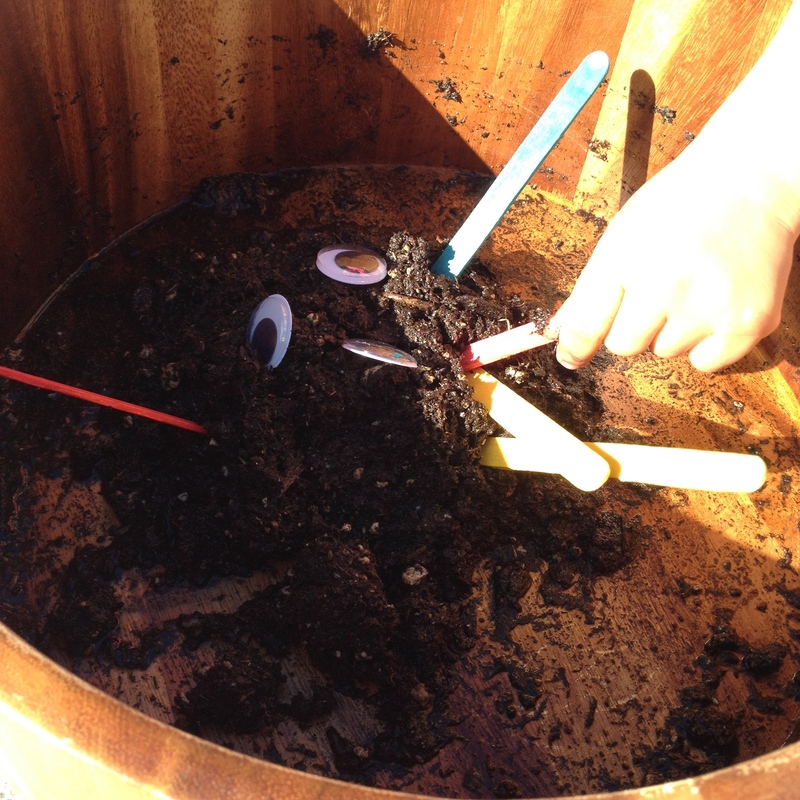 We ended up making an activity today and R practiced using a broom and dust pan. a. Make paddles using a paper plate and popsicle sticks and play a game of monster badminton! b. Add different grains inside the balloons to create different sound effects.